Today, I have a very special post with a project close to my heart because it is far from my style and yet, has turned out so well. 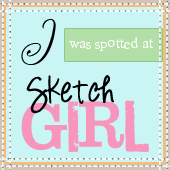 I am guest designing today for the Crazy Crafter - Crafting Supplies Store. They sent me this gorgeous paper pack to try and I was a little skeptical to work with it (because I generally work with bright colors) but I am glad I took the chance. The paper quality is splendid and I had a great time working with it. I shared the sneak peeks of this project on my Instagram account @ujjwal.handmadewithlove and had so many queries about the papers. So I am posting the details here in case you'd like to check it out. The paper pack is called "Love in Paris" manufactured under a brand called "Get Inspired" and retailed by the Crazy Crafter Store. It is my favorite time of the year and all I can see, hear and smell is Christmas these days. I decided to make a layered Canvas and used the TCW stencils and lots of different TCW mediums too. I also documented the entire process on the TCW blog so you can create your own.